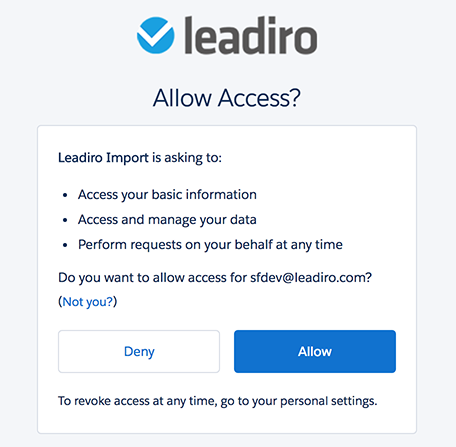 You connect Leadiro to Salesforce by granting Leadiro permission to insert data into Salesforce. 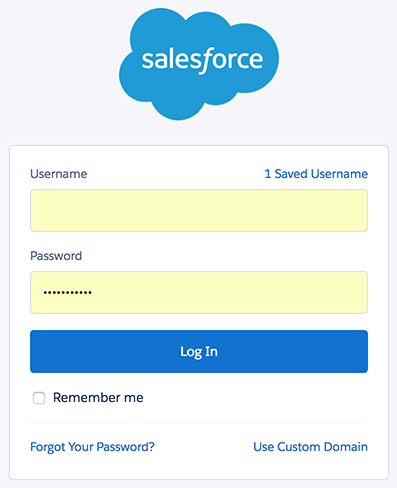 Leadiro uses a Salesforce Connected App to insert new Salesforce Leads. Once you have completed the steps above Leadiro is connected to Salesforce. Any leads checked-out in Leadiro will now automatically sync into Salesforce.